Region: East Thessaly (Mt. Olympus, Mt. Kissavos (Ossa) & the coast, river Pinios and Tempi valley). Period: From April to the end of September. Type: Multi-activity – Families with children from 14 down to 7 years of age. Level: “Medium” – Balanced activity – orientated (50/50 action / leisure time). Trip profile: An exhilarating multi-activity holiday, based around Mt. Olympus, Tempi Valley and Pinios river, Mt. Kissavos, the coast and the Aegean Sea in Eastern Thessaly, set in a region of outstanding historical interest and natural beauty. This program is of a “lighter” type, activity wise but equally enjoyable and exhilarating for the older ones too. It is designed in such a way that gives the opportunity to the whole of the family with younger children to do all the activities together and this is the purpose of it. This active holiday program consists of mainly half day activities. As it is mostly aimed for the independently travelling family, gives a great freedom and autonomy for exploring the endless beaches and the special places of natural beauty and historical interest that our area plentifully offers. Itinerary: Please note, that this itinerary can be subject to slight changes, concerning mainly the time sequence of the activities, in response to variable local weather conditions. Find the detailed Itinerary below. In the evening, after setting in at your accommodation, there will be a pre-tour introduction with your Guides. Day 2 Rock climbing. Half-day activity. 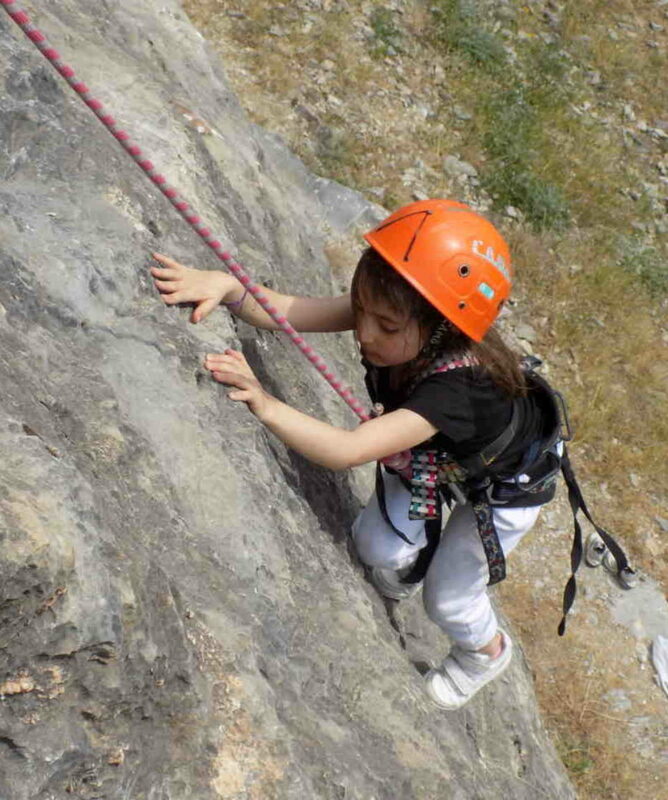 We start off this active holiday with Rock climbing at the Seloma site on the north side of Mt. Kissavos (Ossa), at 1000m, so it is quite cool even in the hot summer months, with great views all around, where you are about to try, probably your first vertical steps. This is a great combination of physical and mental effort. The right body placement along with focused concentration on to the next move, will give unexpected great results, under the instruction and supervision of our guides. A great game for all, young and old! The rock climbing session takes about 3.00’- 4.00’ hours. Overall activity’s duration, 5.00’ to 5.30’ hours, including the gearing up time, briefing, local transfers, stops, picnic e.c.t. Day 3 Canyoning 1. Long half-day activity. In the Kakoskala canyon in the kakoskala 1a section, for the months April, May & June. A small-scale canyon, but in very beautiful, densely forested area, on Mt. Kissavos (Ossa), ideal for children of smaller ages and the parents alike. In the Orlias canyon in the Orlias III section, for the months July, August & September, on Mt. Olympus. The beautiful crystal clear pools and the rock formations, ideal for small jumps and water slides, the amazing sceenery, the 5 abseils of 5m, 7m, 9m, 5m & 9m accordingly and the relatively good time (3.00’ to 3.30’ hours), make it an ideal natural water-land and very good canyoning for families with younger children, as well as an ideal place for a very good introduction to canyoning for adult individuals and large adult groups of beginners. The actual time in either canyon, 3.00’ to 4.00’ hours. Overall activity’s duration, 5.00’ to 6.00’ hours, including the gearing up time, briefing, local transfers, walk-in & walk-out, stops, picnic e.c.t. Day 4 Creative day by reviving old natural ways of life. Relaxed Full-day activity. In our Mt. Kissavos (Ossa) base, by learning how to make our own soap with the most natural method and materials. We also learn how to make some traditional Greek appetizers like the well-known Tzatziki, in a very special and genuine way! In the mean while the children can have an archery session. This evening, you will definitely have a very tasty and special meal and after the end of the program go back home with your own hand made soap. Overall duration of the whole session, 6.00’ to 7.00’ hours, including the gearing up time, briefing, local transfers, stops, meals, e.c.t. Day 5 Hiking with Via Cordata, for the months of April, May, June & September and Canyoning 2 for the months of July & August. Relaxed full-day activity. Hiking with Via Cordata. After we have met, we are transferred to the starting point of the walk (10’ by road), We take the so called “clefts’ path” – an escape way full of legends and stories – quite steeply for the first 20’ and easier for the rest of the length, until we reach the starting point of the Via Cordata traverse section, the “clefts’ traverse” at about 270m. Stunning views of the western end of the valley and the river Pinios down below! This will take 1.00’ to 1.10’ hours of moderate / challenging walk. Gained altitude 250m. We have completed the full Tempi valley high crossing in a very special way, enriching this wonderful hike with the Clefts’ traverse! This will take another 1.45’ hours of easy but very nice hike. Altitude loss, 150m. The total duration of the hike & the Via Cordata is 4.45’ to 5.00’ hours. Overall activity’s duration, 5.30’ to 6.30’ hours, including the gearing up time, briefing, local transfers, walk-in & walk-out, stops, picnic e.c.t. 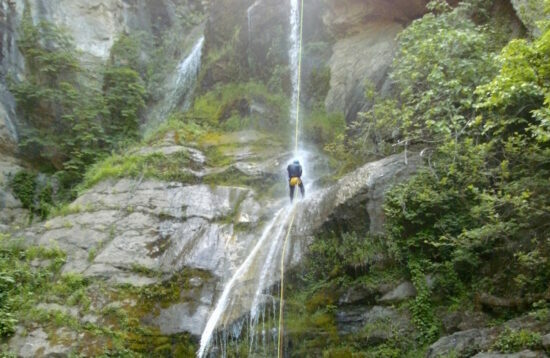 Canyoning 2. Transfer to the north side of Mt. Olympus to canyon in the Agia Kori canyon in the Agia Kori II section, another Mt. Olympus typical beauty with exceptionally turquoise colored crystal-clear water! This section offers 7 abseils / rappels ranging from 7m to 16m, parts of which you can waterslide or jump. A five- minute walk brings us to the starting point of the section. 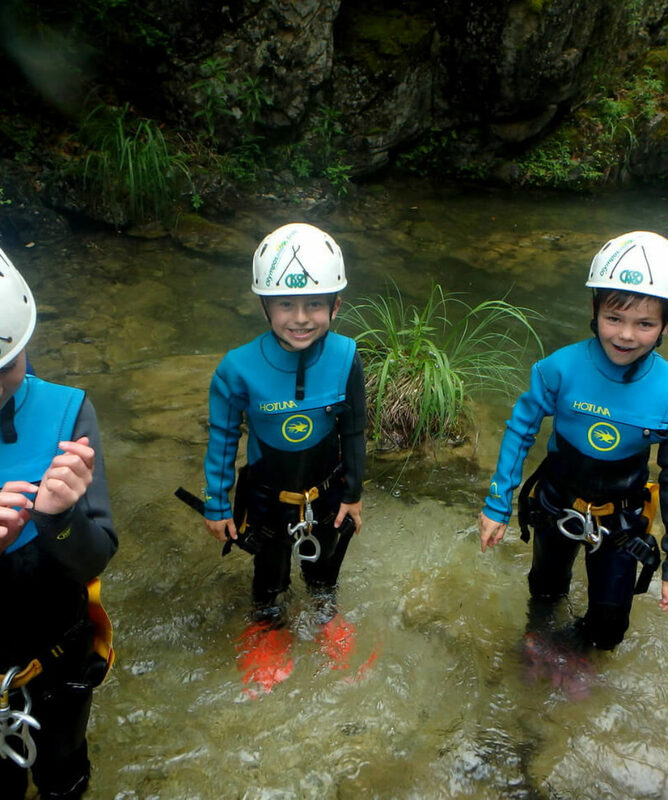 Another ideal natural water-land and very exciting canyoning for families with younger children, as well as an ideal place for cooling down in the hot summer months and a very good introduction to canyoning for adult individuals and large adult groups of first timers. We finish at the chapel of Agia Kori for a well-earned picnic. Duration of actual canyoning, 3.30’ to 4.00’ hours. Overall activity’s duration, 6.30’ hours, including the gearing up time, briefing, local transfers, walk-in & walk-out, stops, picnic e.c.t. Day 6 Cultural wandering & inflatable Kayaking / Monorafting. Relaxed full-day activity. After an early breakfast, transfer to the very historical village of Ambelakia on the northwest slopes of Mt Kissavos (Ossa), overlooking the western end of the Tempi valley. Here, you will have the opportunity to visit the ”Schwartz” Museum and be introduced to the rich history of the place, as Ambelakia is the birth place of the first officially recorded cooperative internationally and with a very characteristic architectural tradition. We go for a stroll around the village and visit the cultural and the cooperative museums. Towards noon there will be enough time to relax at the peaceful village square enjoying a drink or a meal under huge plain trees along with the locals. Later in the afternoon we take the road down the valley and the river Pinios for a refreshing Monorafting and inflatable kayaking in the Tempi valley. We cross the Valley and a small part of the river’s delta in two-seater monorafts and inflatable kayaks. The ride is relaxing and straight forward with the valley’s beauty beyond words! High cliffs rise above us dominating the area! The place inspires us to tell stories about mythical nymphs and heroes connected to this historical valley from the very old times… Duration of paddling, 2.00’ to 2.30’ hours. Overall duration of the whole day’s session, 8.00’ to 9.00’ hours, including the Ambelakia tour, gearing up time, briefing, local transfers, stops, meals, e.c.t. Day 7 Sea kayaking. Long half-day activity. 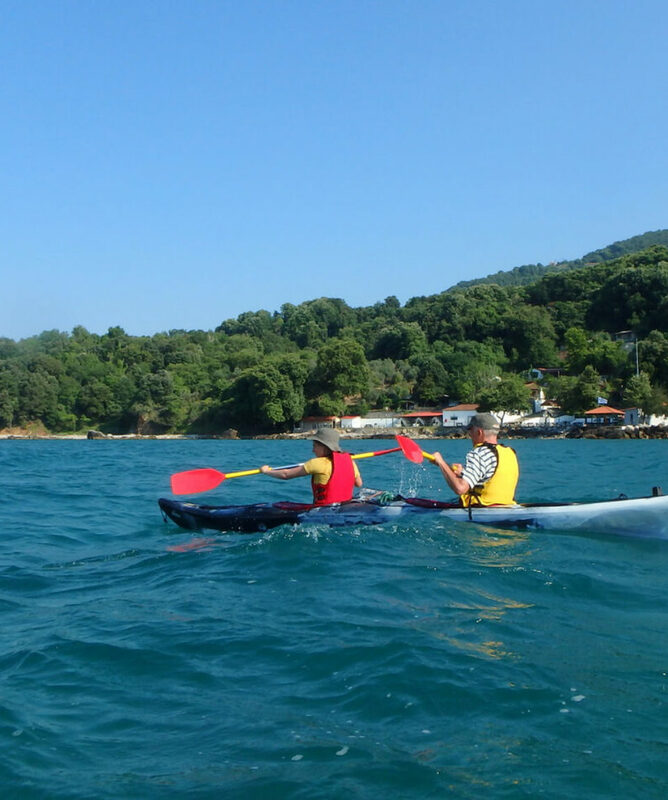 Transfer to the little seaside fishing village of Stomion, where at a little beach just outside the village the sea kayaks are waiting for us and after gearing up and having the appropriate briefing, we are off Sea-Kayaking. The coastal section along the Mt Kissavos (Ossa) coast we are going to kayak along, offers a number of very beautiful isolated sandy and white-pebbled beaches, where we are going to stop, swim, snorkel and have drinks and cookies. Duration of paddling, 2.00’ to 2.30’ hours. Overall activity’s duration including the gearing up time, briefing, transfers, stops for swimming or snorkeling, picnic e.c.t. can exceed the 5.00’ hours. 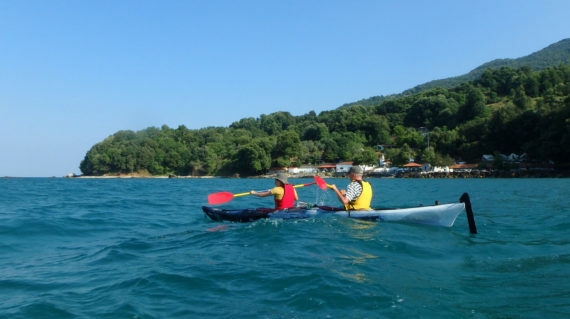 Or, if the weather and especially the wind conditions could be forbidding for the sea kayaking (sometimes can happen), we go river canoeing in the Pinios river delta with exit into the sea! Day 8. End of program / Departure. End of program / Departure. Our multi activity holiday programs / trips are meant mainly for you who “Plan your own holiday” or for you who want to “Do it yourself”. By being retailers and providers at the same time on these actual programs, we are able to deliver and provide a personalized service at an excellent price, without compromising on the quality of our activities. As local activity suppliers, our expert knowledge of the area ensures for you a more personal feel and direct communication with us and the area, thus, more control on your behalf, over your holiday. Meals & Meal Plan: This trip is organized on a full board basis while on Mt. Olympus in the mountain refuge accommodation. 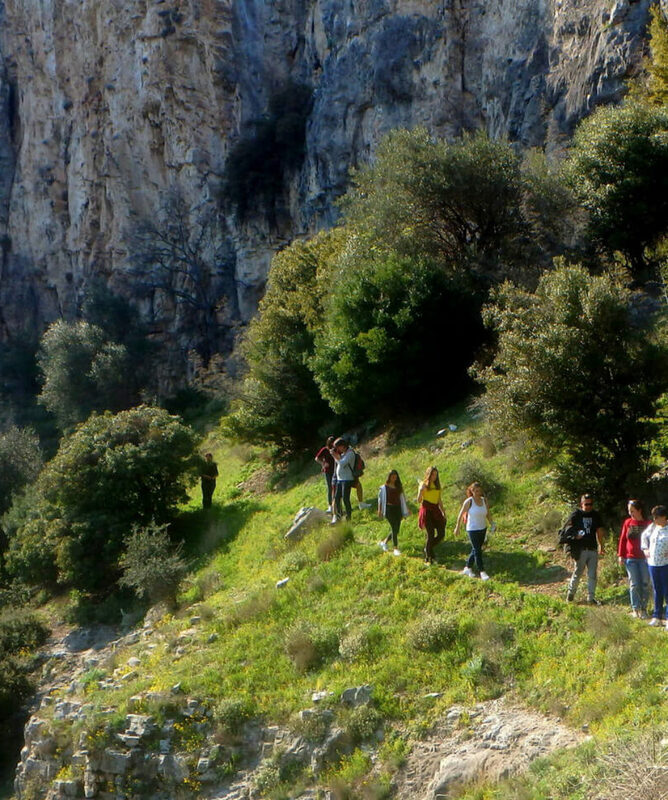 The rest of the trip is on a half board basis only on the activities’ days, as breakfast goes with your accommodation and lunch will be a picnic meal with traditional Greek dishes and tastes prepared with great care by Olympos Trek team, usually during or after the activity, also included in the price. Evening meals while being off Mt. Olympus, are not included in the price and will be taken in local restaurants as this will give you a perfect opportunity to sample real Greek hospitality and delicious food, typical of the region. Water and juices for the children are included with the activity but alcoholic drinks for the adults are not. Transport: From the airport to your accommodation in Litochoro, in case you do not have your own or hired means of transport (rented vehicle), the best suggested way is the public transport (train or bus), as our area of activities and the accommodation establishments are very close to the main road and rail streams of transport on the eastern side of the country. The nearest airport is the Makedonia airport of Thessaloniki, 1.00’ hour by train or bus to Nei Pori or Rapsani train stations, being very close to the activities area and the various accommodation establishments. The “Proastiakos” train runs almost every hour from Thessaloniki to the above destination for 18.00€ return. From the airport you take the bus (number 78) to the main train or bus station in Thessaloniki. It takes 20’ to 30’ and costs €01.00. The buses also run in the same manner, though a bit more expensive than the train. They run from Thessaloniki central bus station via Katerini where you change bus to Litochoro or to Leptokaria. If you land at “Eleftherios Venizelos” airport in Athens, the train seems to be again the best option. Only the journey in this case takes 4.15’ to 5.00’ hours, depending up on the train you are using. From the airport you take the metro or the Proastiakos train to the “Stathmos Larisis” (Larisa’s station) in Athens, from where you take the train to Larisa, where you change train (take the ”Proastiakos” train) to Litochoro. Note that during the activities, all local transfers will be provided by us to and from the activity’s starting and end points. If you have your own means of transport, you come to the prearranged meeting point for the day’s activity. Otherwise, it can be arranged to be transferred by us from your accommodation to the activity’s starting point and back to your accommodation, after the end of the activity. This can be done at an extra cost (10.00€ to 15.00€ p.p. for every activity’s day). Group size and Staff: Maximum group size is 16 people and minimum 4. 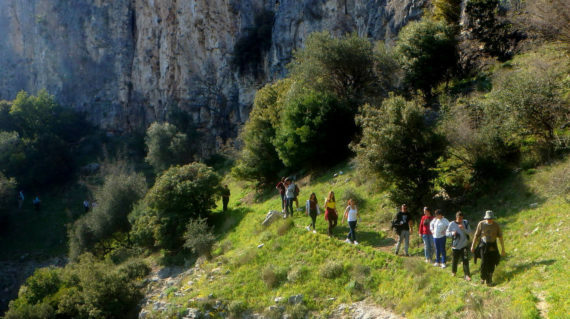 This trip is led by Olympos Trek and supported by expert local instructors / guides with great knowllege of the local conditions. Health: No specific requirements on this tour. 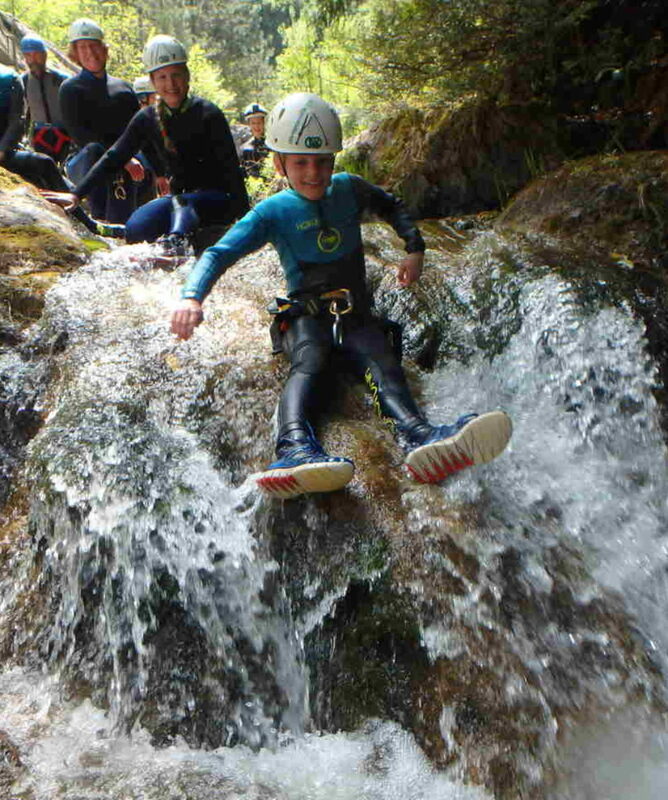 If you are reasonably fit and in good health, have a sense of adventure and basically swim (for canyoning), any previous experience is not necessary. 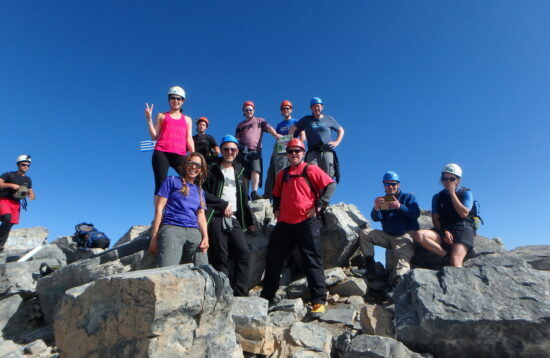 Insurance: It is a prerequisite of booking any Olympos Trek outdoor activity program that you possess adequate insurance with certain requirements that must be met by your policy. Responsible Tourism: Tourism has an effect on any area, it is essential to minimise the negative impact that we may cause. We do not allow our clients or staff to damage the physical environment by leaving litter or rubbish lying around. Anything we take in to an area we must take out again. 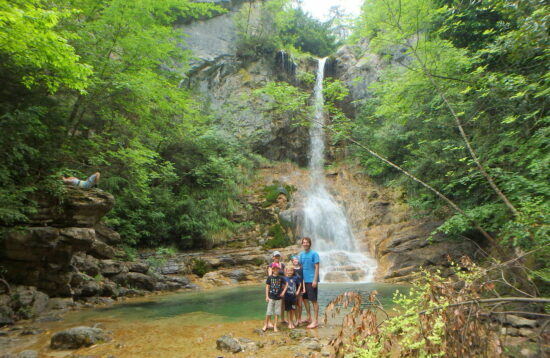 With 7-night accommodation with breakfast in a hostel type wood house/cabin, in our Mt. Kissavos (Ossa) activities center, with own toilet / shower facilities and kitchen, where you can cook your own food if you wish.675.00 Euros p.p. With 7-night accommodation with breakfast in Kastania Gi or equivalent. Based on two-sharing room: 765.00€ p.p. For three-sharing room, take out 45.00€ from the above prices. For four-sharing room, take out 70.00€ from the above prices. The prices are VAT inclusive. For other than the above type of accommodation in the area, you can book yourself if you wish. In this case you will be given by us the price for the activities program only. 7 nights’ accommodation with breakfast in the above stated kinds of accommodation. Picnic lunch with homemade traditional Greek dishes and flavors for every activity, during or at the end of it. Hot drink, juice and cookies during every activity. All specialized equipment for the activities. Local transfers from the activity’s finishing point back to the meeting / starting point and your vehicle when this is needed. a. 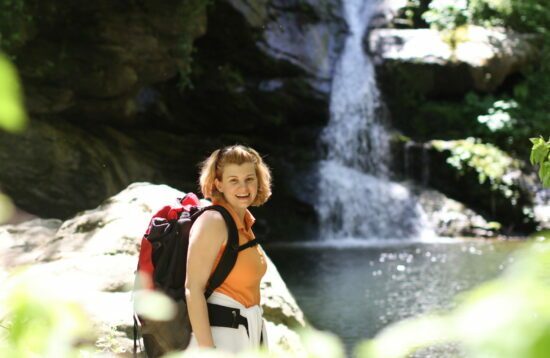 Day sack, well worn-in trail or amphibian walking shoes for the approach walk and to be wet in the canyon. b. Any kind of light water sea-shoes for the river activities. c. Comfortable trousers or shorts as well as hiking shoes or good sports shoes for land based activities. d. Bermuda trousers or cycling pants for the mountain biking. e. Swimming gear and towel for all water activities. f. Sun hat, sun glasses & sun protective cream. 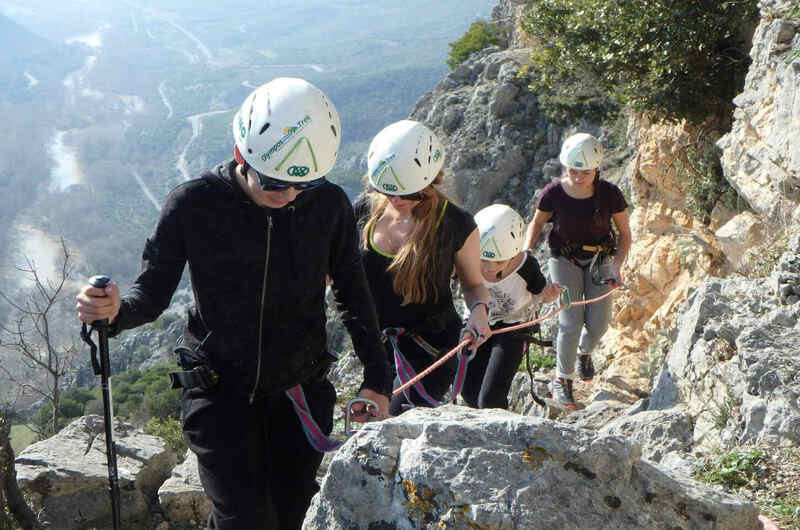 Please Note: All safety equipment for all the activities (helmets, life-jackets, harnesses, wetsuits, walking sticks etc) is provided by Olympos Trek. If you have your own, please feel free to take it with you. 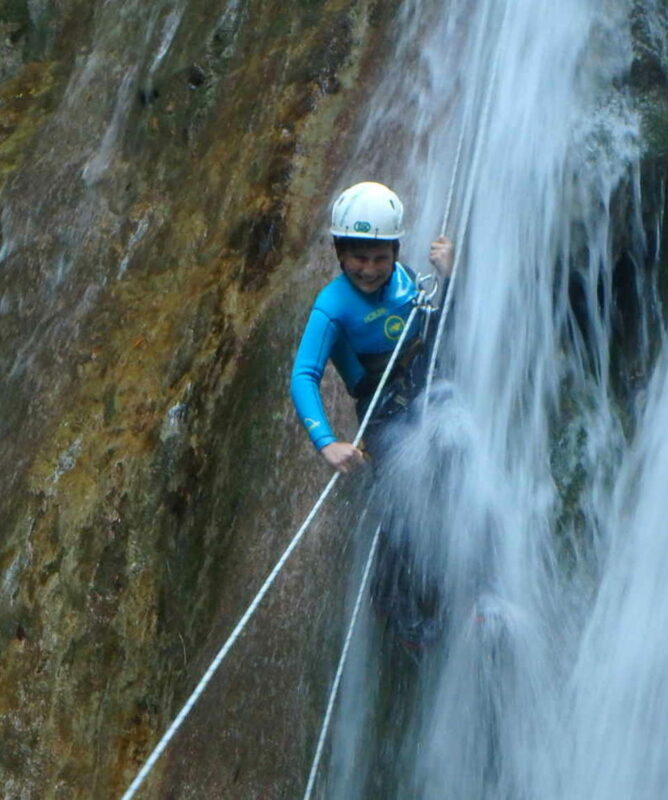 Canyoning in Kalypso I section – Kalypso canyon – Mt. Kissavos (Ossa).